We regularly speak with our users to understand the role Reaching Soon plays in their lives. One crucial need came up repeatedly - They want to be able to share their location quickly via SMS when needed, say in an emergency. Emergencies would happen unexpectedly, and a Reaching Soon session may not be active at that time. Users said they are already using some SOS app or other. They want an SOS button in Reaching Soon, so they don't have to maintain two apps on their phone. A recent decision by the government has made panic buttons mandatory in new phones. Many handset manufacturers are partnering with various SOS apps or building their own apps. This is a much cheaper alternative compared to making expensive hardware changes such as a physical panic button on the phone. As such, the time is short and they have to comply by January 2017. Taxi apps, e.g. Uber, Didi Chuxing have a panic button but it leaves much to be desired. It must be available all the time - even when the phone screen is locked. It must be easy to locate and use - in an emergency, you can't be searching for it. It shouldn't be triggered by mistake, under usual circumstances. 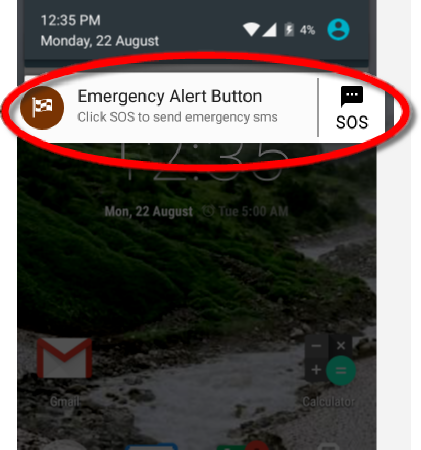 After much thought and trials, we came up with a simple and elegant solution - an SOS button in a notification. This way, the SOS button is always available, easy to locate, and unlikely to be tapped by mistake. 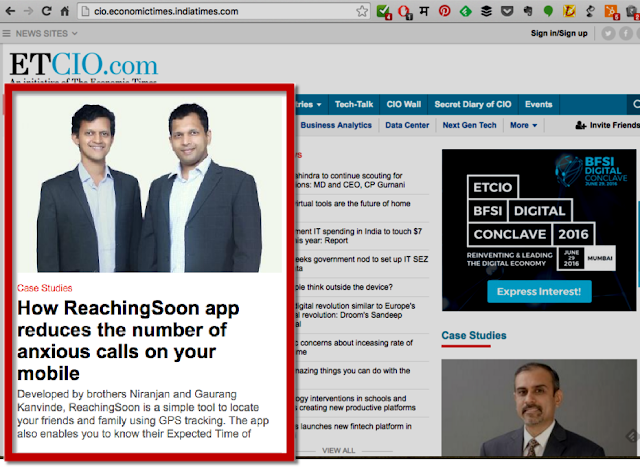 Clicking the SOS button will send an SMS with your location to your loved ones. In future, a message will also be sent to police - we are working on that. See the following video for a demo of the SOS button. Starting with Android 5.0 (Lollipop), notifications are visible even on a locked screen. So the SOS button is also available on a locked screen, and can be triggered without having to open the phone. The SOS button is still a work-in-progress. It will be available in the Reaching Soon app in the next release.